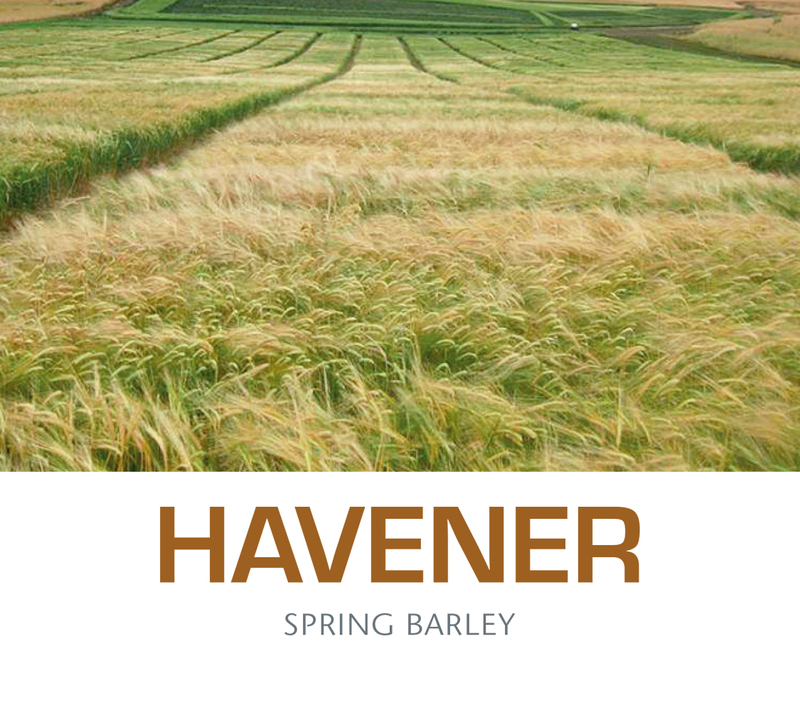 Havener is a two-row, hulless, spring food barley developed by the Agricultural Research Center of Washington State University. Havener is named in honor of Robert and Elizabeth Havener, long- time champions in the effort to eradicate hunger and malnutrition worldwide. Havener, developed specifically for human consumption, contains 50 to 75% higher β-glucan (a heart-healthy soluble dietary fiber) than common Washington-grown varieties Lyon, Muir, Champion, Bob and Baronesse. Havener has higher yields and test weights across all eastern Washington rainfall zones than the hulless variety Meresse.